A civil rights group has filed suit against the city of Modiin for closing its park to outsiders in an apparent snub to hareidim. During the Sukkot holiday the city of Modiin closed the local Anabe Park to non-residents. 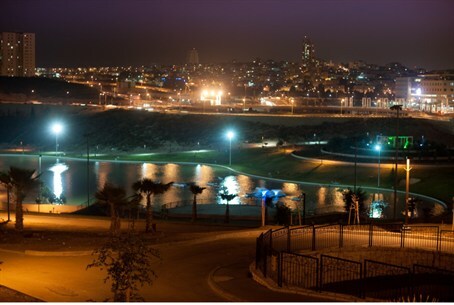 The move came after threats to close the park to residents of the neighboring hareidi-religious city of Modiin Illit (Kiryat Sefer), and was widely seen as an anti-hareidi move. After complaints and criticism, now comes the lawsuit. The Association for Civil Rights in Israel (ACRI) has filed suit against the city for alleged discrimination. ACRI attorney Dan Yakir sent a letter Tuesday stating that closing the park to non-residents had been illegal, and constituted discrimination against the religious public. “We cannot accept a situation in which municipalities attempt to restrict access to parks in their territory,” he added. The city of Modiin was aware of the potential for lawsuits, and consulted a legal expert prior to barring outsiders from using the park. However, ACRI believes the legal opinion the city relied on was wrong. In August 2012, a month before the park was closed to outsiders for Sukkot, Modiin Mayor Chaim Bibas threatened to bar hareidi-religious visitors from the recreational site in response to hareidi threats to bar secular visitors from a heritage site in Modiin Illit.